Kelsey Nelson delves into Vladimir Nabokov’s and Roland Barthes’ diametrically opposed methods of interpreting art and texts, and asks, is it possible to have it both ways? Erin Sweeny on the “new Order” governing her post-graduate life, where any sense of normalcy or routine has largely disappeared. Erin Sweeny uses the literal and metaphorical framework of sunglasses to reflect on Los Angeles, its art scene, and her current role as an observer of and participant in it. Kelsey Nelson shares five platitudes that ring surprisingly true when considered in the context of her own post-graduate ambitions. New “Praxis Makes Perfect” columnist Erin Sweeny earned her MFA from Cranbrook Academy of Art last spring; she shares what’s happened in her life since then. 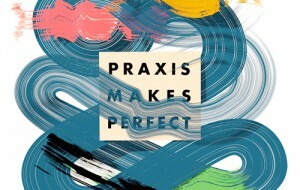 Meet Our New “Praxis Makes Perfect” Columnists! Meet the newest contributors to our “Praxis Makes Perfect” column! Jacquelyn Gleisner talks to Christopher K. Ho, an artist, critic, and author of “Hirsch E.P. Rothko,” a book about an artist’s dip into delusion. Jacquelyn Gleisner talks to artist and writer Bean Gilsdorf, who pens the weekly HELP DESK arts-advice column on Daily Serving’s website. How do artists sustain both a studio practice and a full-time teaching career? Beverly Fishman, Head of Painting at Cranbrook, shares some hard-won knowledge.